2056 - Photo: Paul Bettany. 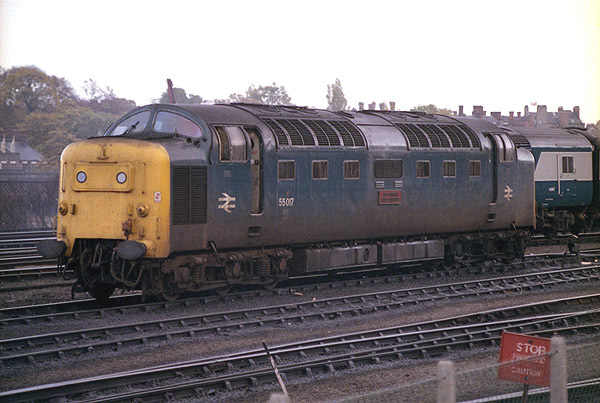 55017 (D9017) "THE DURHAM LIGHT INFANTRY" at rest on its home depot, York TMD, on the 29th October 1981. The locomotive would later leave to work the 1A22 14:15 York - King's Cross service.